There is no honour among thieves . . . Ildrecca is a dangerous city, if you don't know what you're doing. It takes a canny hand and a wary eye to run these streets and survive. Fortunately, Drothe has both. 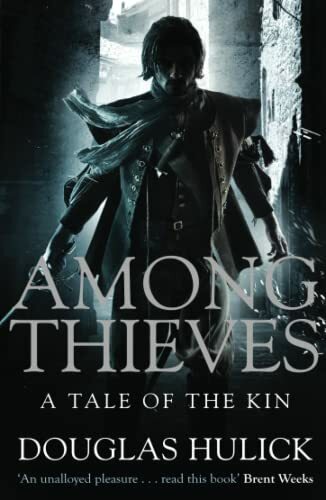 He has been a member of the Kin for years, rubbing elbows with thieves and murderers from the dirtiest of alleys to the finest of neighbourhoods. Working for a crime lord, he finds and takes care of trouble inside his boss's organization - whilse smuggling relics on the side. But when his boss orders Drothe to track down whoever is leaning on his organization's people, he stumbles upon a much bigger mystery. There's a book, a relic any number of deadly people seem to be looking for - a book that just might bring down emperors and shatter the criminal underworld. A book now conveniently in Drothe's hands . . .